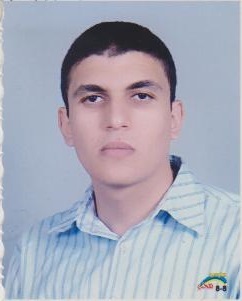 Amir Alsharabasy, MSc (Biochemistry), MSc (Biological and Bioprocess Engineering) is a research assitant of chemistry at the national center for radiation research and technology, Cairo, Egypt. He has extensive experience in biopolymer modification and characterization, polyelectrolyte complex-based hydrogel synthesis, static and dynamic cell culture biomacromolecule characterization, protein purification and characterization under the GMP conditions, and biopharmaceutical delivery. Key-strengths include: the controlled tailoring of biopolymer structures for targeted biomedical applications, especially hydrogel synthesis & testing the biocompatibility and cytotoxicity of these hydrogels using 3D culturesï¿½ & bioreactor designing for efficient propagation of the bacterial and mammalian cells & engaging with the team to design the suitable dynamic plans for the recovery and purifying the resulting stream towards efficient purification of the desired biomacromolecules with strategic collaborative and integrated complete analysis of the primary and tertiary protein structures with characterization of their properties and activity to optimize the manufacturing conditions and control the productsï¿½ characteristics & the ability to analyze the different blood components using different analytical techniques &ï¿½andï¿½harnessing his academic research experience to create new solutions to problems during the bioprocessing as well as the targeted delivery of the pharmaceutical biomacromolecules.